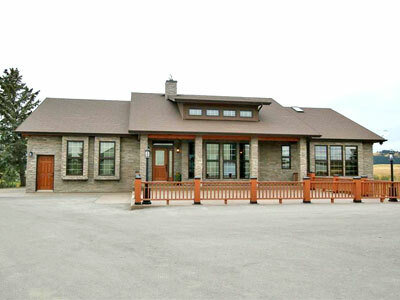 What You Get: A breathtaking home and well-equipped stables with gorgeous views. The House: The 4,400 sq. ft. 3 bedroom, 5 bathroom house is stunning, with impeccable design and high-end, custom finishes including a stunning circular staircase and 15′ ceilings in the great room. The deck is massive, perfect for appreciating the view and entertaining. The Barn: There are 4 box stalls and a spacious grooming area in the barn. The heated indoor arena is 92’x140’ and there is also a 100’x240’ outdoor sand ring. There are 5 paddocks and 3 large pastures with shelters and automatic waterers.